The Gracious Goodness: My Favorite (& Free!) Resources for Working Military Spouses. My Favorite (& Free!) 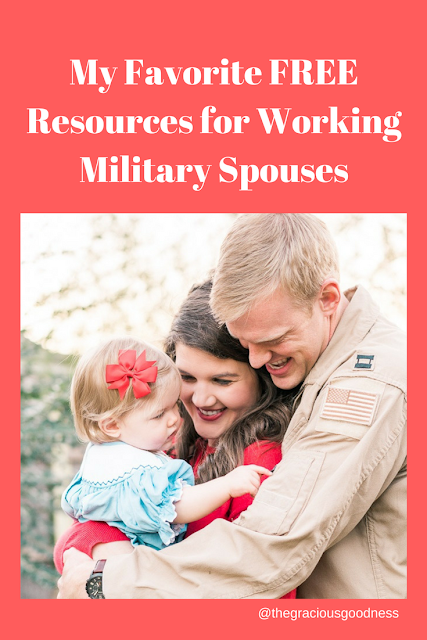 Resources for Working Military Spouses. I feel so fortunate to be a military spouse. Military life can be a great life. I've been given the opportunity to step out of my comfort zone, travel and experience new places, and create and sustain life-long friendships that transcend literally all over the world. I feel like I've always had the drive to use my degrees to create positive change in my community. However, there have been hesitations and roadblocks to a career due to the reality of moving often (many times with short notice), facing deployments and family separations, and the possibility of being overlooked by prospective employers due to military status. Also, simply put, it's expensive to be an attorney, especially if you aren't working for a traditional firm or organization that helps cover your recurring costs (Bar exam, Bar prep, CLE credits, never-ending licensing and applicable filing fees). Throw in kids and the lack of/expense of childcare (what happens when he is deployed and my baby gets sick while I'm at work? ), and it often times felt easier to forego seeking gainful employment while following my favorite pilot around the globe. Yet, with the support of family and friends, I've kept going. I've fought hard to carve out a spot for my job, wherever this life has landed us. Also, there are several organizations and groups that have heard military families’ concerns regarding spouse employment, and have stepped up to aid those of us looking to make a change. I'm beyond grateful for these organizations, and most recently the National Military Family Association scholarship I received. As an attorney licensed in three states, keeping up with bar and continuing education fees can be - stressful. With an NMFA scholarship, I'm able to cut some of our costs! "NMFA" is a voice for military families. One of the organization's largest divisions is "Spouse degree, career, and business funding". 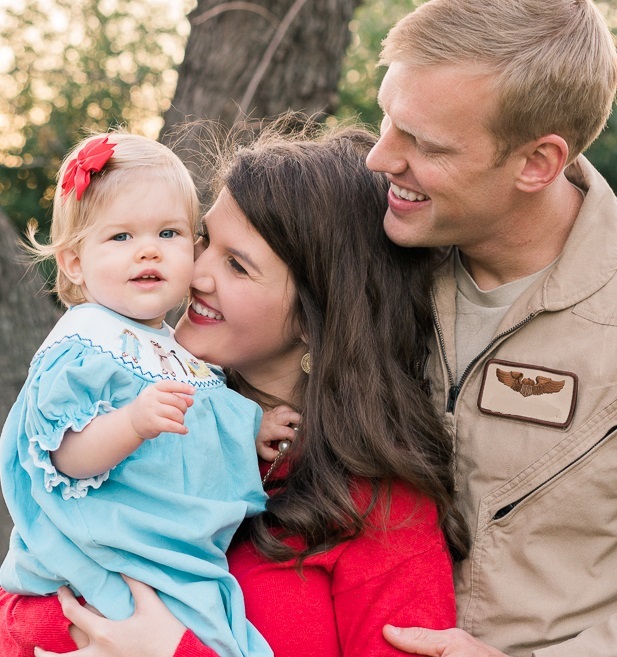 NMFA, through the help of generous donors, helps military spouses like me pay for the costs associated with starting or maintaining their careers. There are tons of resources listed on their site - check it out! Military Spouse Career Advancement Accounts (“MyCAA”) provide up to $4000.00 in tuition to military spouses looking to enter the workforce. Spouses can use this scholarship for tuition in certain degree programs, or to obtain special certification or licensing. Spouses of service members in active duty paygrades E1 to E5, W1 to W2, and O1 to O2 qualify to use these scholarships. I used two of these scholarships to cover my bar exam preparation classes in two different states. MyCAA and Barbri were extremely helpful to me and spared a new (and broke!) attorney quite an expense! Military OneSource contains a large variety of education and employment resources for military spouses. On the website alone, there are links to Going Back to School, Financing Your Education, Career Counseling, Career Exploration, Building a Resume, Finding a Job, How to Get Hired, Portable Careers and Telework, Licensing and Certification, and Working Overseas. Military OneSource also provides monthly webinar series for spouses on topics such as networking and building a small business – all programs are free! Blue Star Families offers several free career-centered programs for military spouses. One major program is Networks Live!, which provides spouses the opportunity to network directly with employers. Spouses can also download a free job, register for specific training programs, and be connected with a career mentor. Hiring our Heroes focuses on employment for both veterans and military spouses. Hiring our Heroes has a specific platform for military spouses, In Gear Career, which provides networking and career events through over twenty local chapters in the United States and Europe. Hiring our Heroes als/o hosts a number of in-person networking events designed exclusively for military spouses seeking employment opportunities. 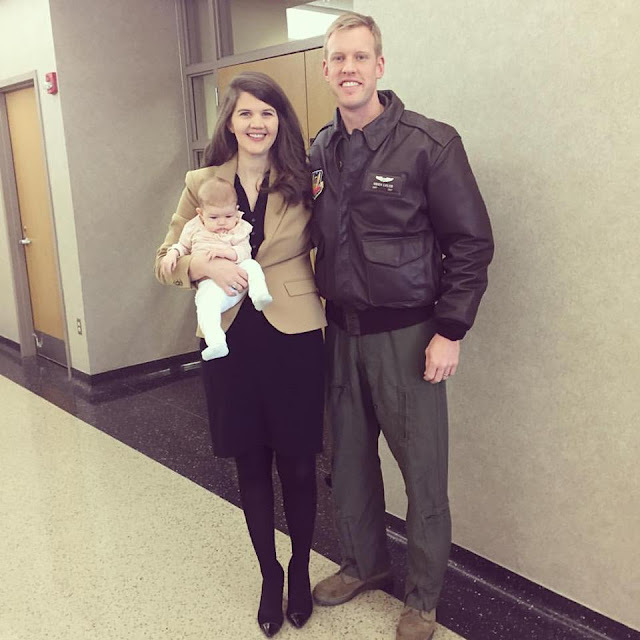 BONUS: For fellow attorneys, I cannot recommend Military Spouse JD Network enough! These spouses have been a rock for me since I was in law school, almost eight years ago. They help provide networking, job postings, *lobbying for the military spouse licensing rule which is now in place in TWENTY-EIGHT states! *, and overall encouragement for military spouse attorneys. What about you? What resources have you found that have helped in your career journey? 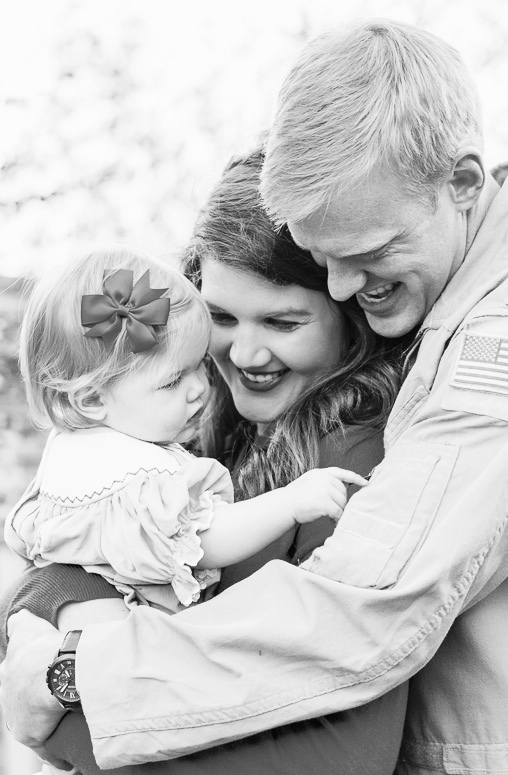 Are there resources out there that you wish were available to you as a military spouse? Feel free to share in the comments! Lastly, sharing is caring! Please use the below graphic to share this article on your social media networks. Thank you! Welcome to The Gracious Goodness. I'm Lizanne and am a believer, attorney, military wife and mama. This site serves as a collaboration of the goodness of life, which comes in many different forms. TGG seeks to empower women as they run homes and small businesses, raise families, focus on personal goals, and carve out their spaces in this world. Through sharing one another's stories, we all grow together. "From his fullness we have all received grace upon grace"
Fun, Frugal Summer Tips for Families. A Nonexpert Opinion: Healthy Eating on a Budget. Jet Setting With a Baby.